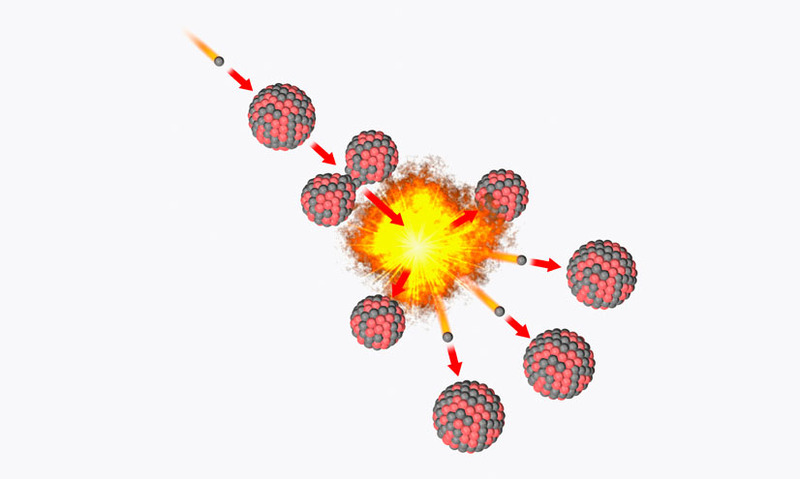 The splitting of an atomic nucleus into lighter fragments. The splitting of an atomic nucleus into lighter fragments. The fission of uranium or plutonium is the source of power in most nuclear reactors and atomic bombs. For heavy atoms such as these, the process of nuclear fission releases vast amounts of energy. The fission of uranium or plutonium is the source of power in most nuclear reactors and atomic bombs. For heavy atoms such as these, the process of nuclear fission releases vast amounts of energy.